Comfrey juice concentrate or nettle juice stink but Seaweed extract is a weed to feed your garden. In fact seaweed is arguably the best weed in your garden. Seaweed is an algae generally living in saltwater. There are over 10,000 species in green, brown and red. Seaweeds are important ecologically and are an important source of oxygen. 70% of the worlds oxygen comes from photosynthesis of algae and plankton. Seaweed is an important food in Indonesia and the far east where Nori and Kelp are cultivated to make one of the largest aquaculture industries. Most seaweed grows in low-lying rocky environments on the shoreline. All those anchored to rocks or the seabed are safe to eat. Seaweed is a source of chemicals with medicinal and industrial uses including processed foods such as yoghurt, health drinks and agar for German beer . Seaweed as a soil conditioner has been used in Ireland for many years bulking up earth on thin limestone soils. It is organic and can be added to compost heaps but let rain wash out excess salt first. In Europe seaweed is used, mixed in layers with sand and soil, for growing Potatoes and Artichokes. Unless you live very close to the sea you are unlikely to have access to large quantities so you may use a commercial liquid concentrate. 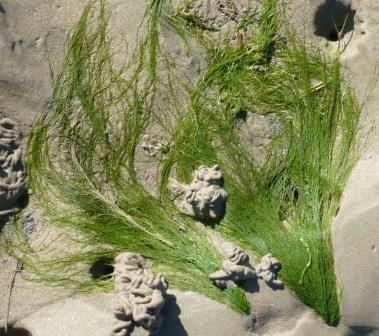 Concentrated Seaweed is used at high dilution rates. It is reputed to help plants avoid stress and resist frost. The natural hormones amino acids and beneficial carbohydrates in Seaweed help plant growth and strong root systems. The seaweed extract helps the take up of trace elements. Seaweed can be used to remove undesired nutrients from water such as ammonia, ammonium nitrate, nitrite, phosphate,metals and CO2. 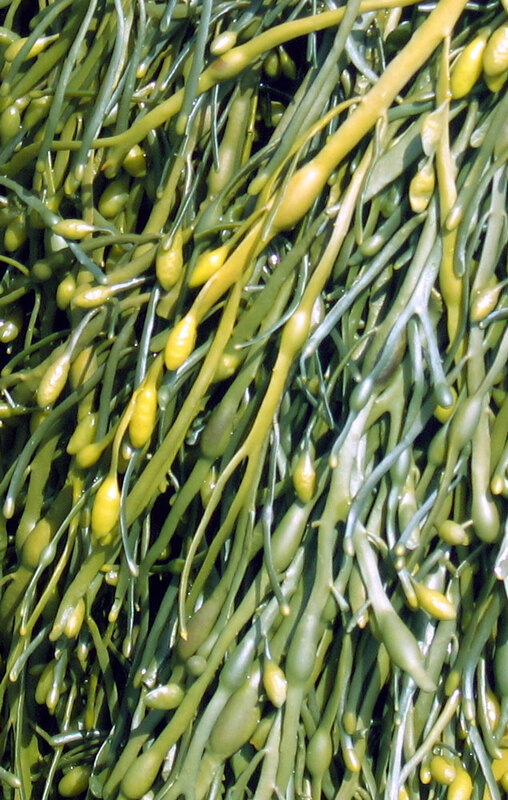 Nutrients are consumed by the seaweed which can then be harvested. Use a very dilute solution of SM3 seaweed extract as a foliar feed. Seaweed retains water and is slow to decompose so use as a winter mulch. Soluble Seaweed Extract Powder is non-toxic, harmless and a designated fertilizer for organic farming. Red and brown algae are almost exclusively marine seaweeds. Green algae are also common in freshwater. Green algae including river species and red algae are recognised as being in the Kingdom Plantae. Brown algae with 1800 species includes Kelps range from the Arctic to New Zealand. Wracks or Fucus species are common in the UK with other brown seaweeds Saccharina latissima and Bladerlocks. Sargassum is floating plankton like seaweed.